Have you ever been shopping and found a piece of clothing that you ADORE, only to be left disappointed because it’s in a size that would never fit you? It’s a struggle most of us have experienced at one time or another, but fashion brand Universal Standard is looking to change that. The brand recently announced the launch of their Foundation line which caters to nearly every body type, with sizes ranging from 00-40 as reported from Hello Giggles. Foundation consists of seven pieces described on the Universal Standard website as “supremely soft, fit-first layering basics for all of US." Each piece is offered in black, white, or gray, and you’ll be able to find things like long and short sleeved shirts, turtlenecks, camisoles, and bandeau tops ready to be added to your fall wardrobe. Who doesn't love having a few go-to tops to pair with the rest of your wardrobe? I know I do. The line starts at $30 with their camisole and goes up to $45 for their turtleneck, but if you really love what you see, you have the option to purchase a four or seven-piece kit for $120 or $180 respectively. 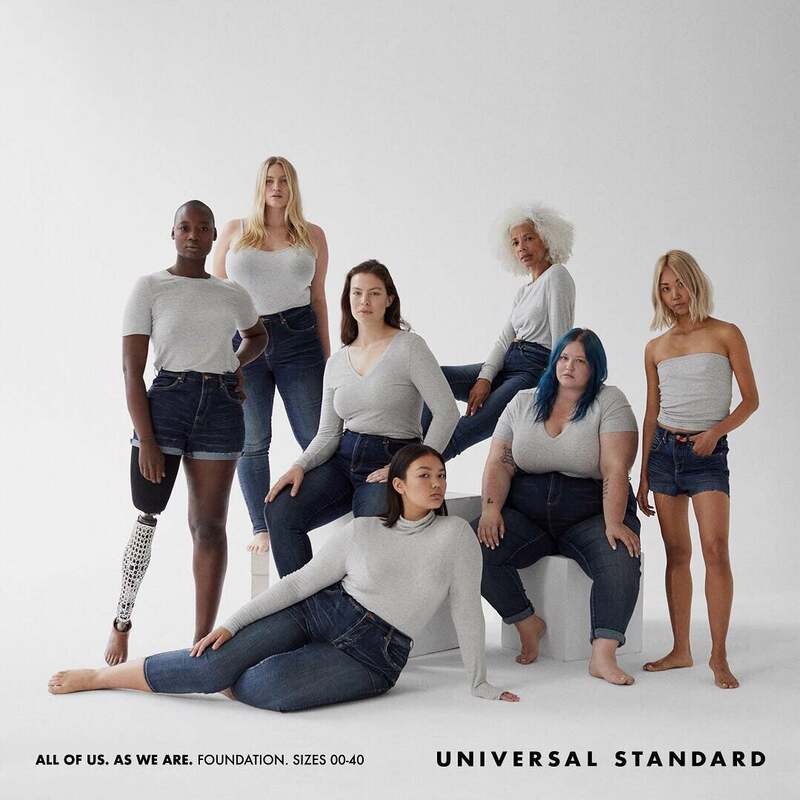 Beyond their range of sizes, Universal Standard has translated being fully inclusive into their advertising as well. On their website and Instagram, you’ll find women of every size, color, age, and ability modeling the line and driving home the point that this line is for EVERYONE. If you aren’t able to visit their storefronts in New York and Seattle but hate shopping online because you can’t see how something will fit, have no fear. Universal Standard allows you to schedule an online consultation with one of their stylists through a video call, allowing you to ask about the pieces and see how they fit on an actual person. Another day, another win for inclusivity in the fashion community! Now if you’ll excuse me, I’m going to go and spend my entire paycheck on those soft turtlenecks.